American rock band Phish return to the road this summer as they embark on a tour across the United States. Best known for their improvisation and extended jams, the band also blends elements of a wide variety of genres including, funk, jazz, rock and pop. 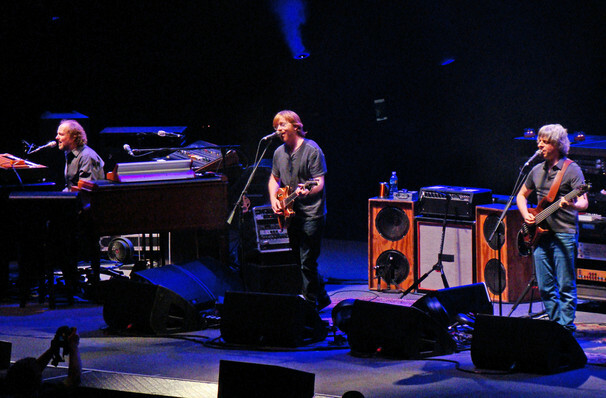 The current members of the band consist of guitar and lead vocalist Trey Anastasio, bassist and vocalist Mike Gordon, drummer and vocalist John Fishman, and keyboardist and vocalist Page McConnell. Although the band hasn't had much coverage on radio stations, they have developed a large and dedicated fan base and have sold over 8 million albums! 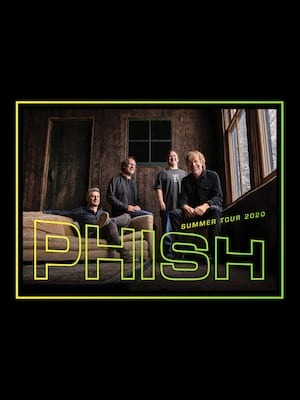 Make sure you catch Phish when they come to a city near you! Sound good to you? Share this page on social media and let your friends know about Phish at Mohegan Sun Arena. Please note: The term Mohegan Sun Arena and/or Phish as well as all associated graphics, logos, and/or other trademarks, tradenames or copyrights are the property of the Mohegan Sun Arena and/or Phish and are used herein for factual descriptive purposes only. We are in no way associated with or authorized by the Mohegan Sun Arena and/or Phish and neither that entity nor any of its affiliates have licensed or endorsed us to sell tickets, goods and or services in conjunction with their events.